The Asscher cut engagement ring displays a very deep modified step cut which creates a mesmerizing almost bottomless captivating effect. And while this fancy diamond cut style reached its heyday during the Art Deco period, it has recently experienced a resurgence in popularity in the last few years. 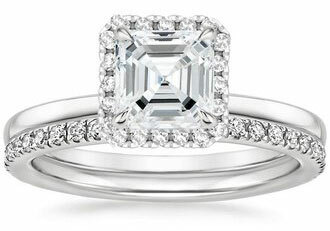 So is the Asscher cut right for your engagement or wedding ring style? Find out below with the info here including characteristics, pros and cons of the cut, where to find Asscher cut rings, the best settings for Asscher diamond rings plus helpful shopping tips. And if you have any questions about Asscher engagement rings, just use the handy comment box at the end of the page to send in your questions or to share reviews and pics of your ring! 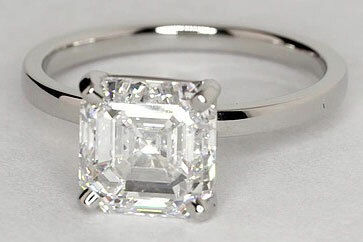 The standard Asscher cut created by Joseph Asscher in 1902. 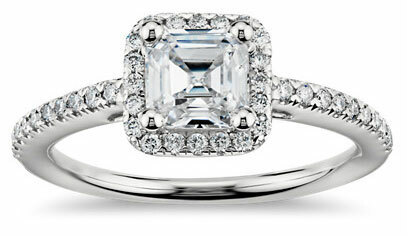 The Royal Asscher cut created in 2001 by Edward and Joop Asscher. The standard Asscher cut crafted with 58 facets is very similar to an emerald cut, but its octagonal shape – square with cut corners – small table, high crown facets and deep, deep pavilion maximizes and displays a breathtaking flash and brilliance which is quite close to the dazzling round brilliant cut. 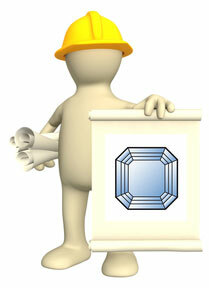 (Check-out Diamond Terms & Anatomy if you need to know more about these terms). The Royal Asscher cut is a patented cut which features the same shape as the standard Asscher cut, but with 75 facets and a slightly higher crown – resulting in even more fire and flash. But if you decide on this type of newer Asscher diamond cut, it is best to consult with the Royal Asscher Diamond Company because of this cut’s exclusive patent. The Asscher cut is an extremely unique diamond cut that practically shouts “Look at Me!” The cut highlights supreme clarity and color features of an outstanding high grade diamond or gemstone plus maximizes fire qualities. If you are looking for a diamond ring that will showcase plenty of captivating flash, but in a very classic and elegant style, an Asscher engagement ring may be the perfect style. This cut too will work with a number of different gemstones (with higher hardness ratings like aquamarines, rubies and sapphires), and because the edges of the cut are angled the Asscher gemstone and diamond does not have any exposed delicate edges which could be easily damaged. The biggest con to this type of cut is that it takes an exceptional stone to create a truly spectacular Asscher cut engagement ring. 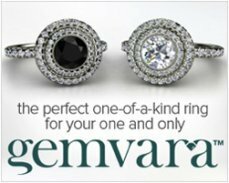 The cut will highlight any defects in clarity and color – and even the smallest of inclusions or blemishes will stand out. This type of cut is also extremely precise and complicated – and should only be taken on by a highly experienced gemstone cutter. Because the Asscher should only be used on gemstones and diamonds with supreme clarity and color characteristics, and requires a talented individual to master the cut, Asscher diamond rings will cost more than most other types of fancy shape engagement rings. 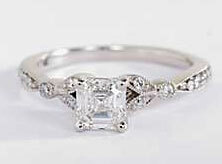 One other con is that most of the weight of an Asscher cut gemstone is underneath the gemstone, not on the surface. So, a one carat Asscher cut diamond will look slightly smaller than – for example – a one carat brilliant round cut diamond. 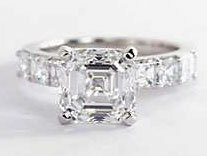 A true Asscher cut is simply magnificent, a cheaper machine replica or modified version of the cut is not so stellar. 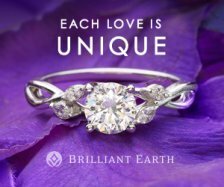 The top recommendation for Asscher cut engagement engagement rings and conflict free GIA certified Asscher diamonds to choose from is Brilliant Earth. BE specializes in Asscher diamond rings and maintains a large selection of Asscher loose diamonds from small to large carat sizes. 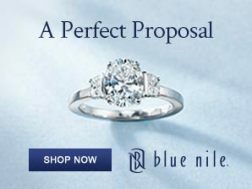 Blue Nile has a lovely selection of quality Asscher wedding rings, and a large inventory of high quality loose Asscher diamonds which can be purchased alone or set in a Blue Nile ring of your choice - at times, you can also find natural fancy color diamonds in Asscher cuts here. 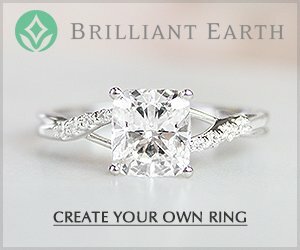 For gemstone Asscher engagement rings, the best (and in many cases most affordable) rings I have discovered are available through Etsy jewelry artists. 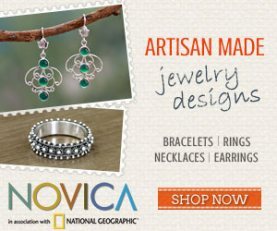 This is the only place so far where I have found spectacular custom cut gemstones which truly feature a real Asscher cut – plus many artists on Etsy use recycled and ethically obtained gemstones for their beautiful jewelry creations. 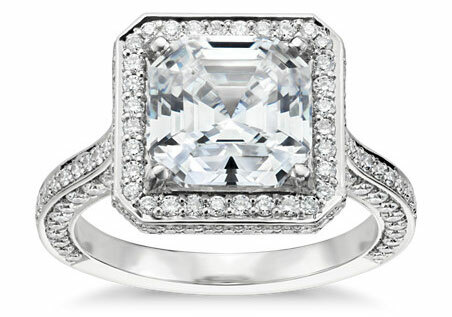 If you are interested in an Art Deco Asscher cut engagement ring, antique rings are the way to go – but these rings are high in demand and can be difficult to find. 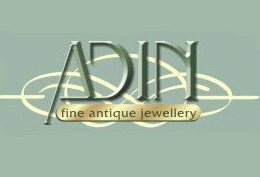 At times, Adin Fine Antique Jewelry will have an authentic antique Asscher cut diamond ring or Asscher cut gemstone ring available - and this highly respected Antique retailer has one of the largest online selections of authentic Art Deco engagement rings too! 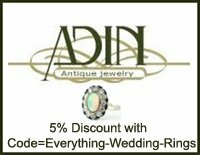 (You can also receive a 5% discount with any purchase online, or mention this code when ordering over the phone, at Adin using the code=Everything-Wedding-Rings!). Four prong settings are the absolute best settings for Asscher cut diamonds and gemstones - these open pronged settings allow plenty of light to enter the stone, maximizing its flash and fire qualities. Trellis and Cathedral prong settings lift an Asscher cut stone up even higher – a feature which helps the stone to really stand out on diamond solitaire engagement rings. Smaller Asscher cut gemstones and diamonds also look great in a channel setting, especially if they are lined to wrap around the band of the ring. 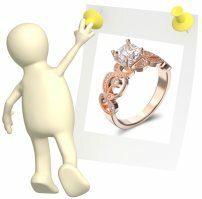 Before you buy an Asscher cut engagement ring, take the time to look at a selection of Asscher cut gemstones and diamonds – so you can really gain a good idea of what a spectacular Asscher cut looks like, or just stick with our top recommendations listed above for high quality Asscher diamonds and wedding rings! Clarity between Flawless to VS2 on the GIA clarity scale (or 0 to 4 on the AGS clarity scale). 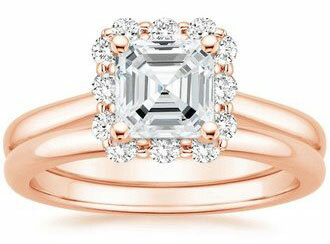 Asscher diamonds below these values will show blemishes and inclusions, and pale yellow to brown tints of color. If you are searching for Asscher cut gemstone engagement rings, stick with gemstones that have been custom cut by a master gemstone cutter. 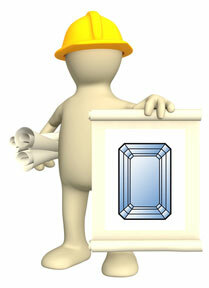 Aquamarine, citrine and peridot hold an Asscher cut really well – plus they are very affordable gemstones. Rubies, sapphires and emeralds look great in Asscher cut rings too – but because their colors are so dark they will not have the same brilliant flash and fire in an Asscher cut as the lighter colored gemstones. 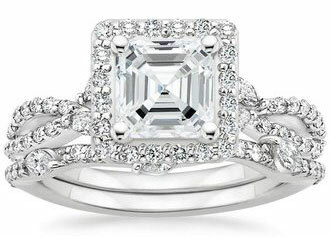 Last but not least, stick with an Asscher cut engagement ring available through a reputable jewelry company or boutique which offers styles made with diamonds certified by well known diamond laboratories (e.g. 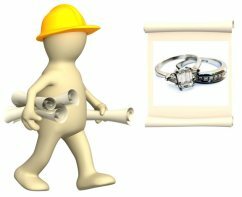 GIA, AGS, EGL or IGI) and make sure you have at least a 30-day no-nonsense refund policy with the purchase of your ring. 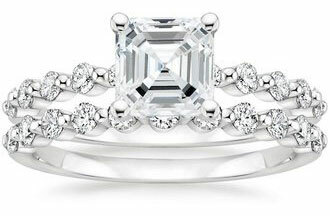 Do you have questions or comments about Asscher cut engagement rings? 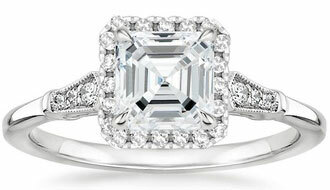 Send in your questions, comments or upload pics of your Asscher engagement ring here. 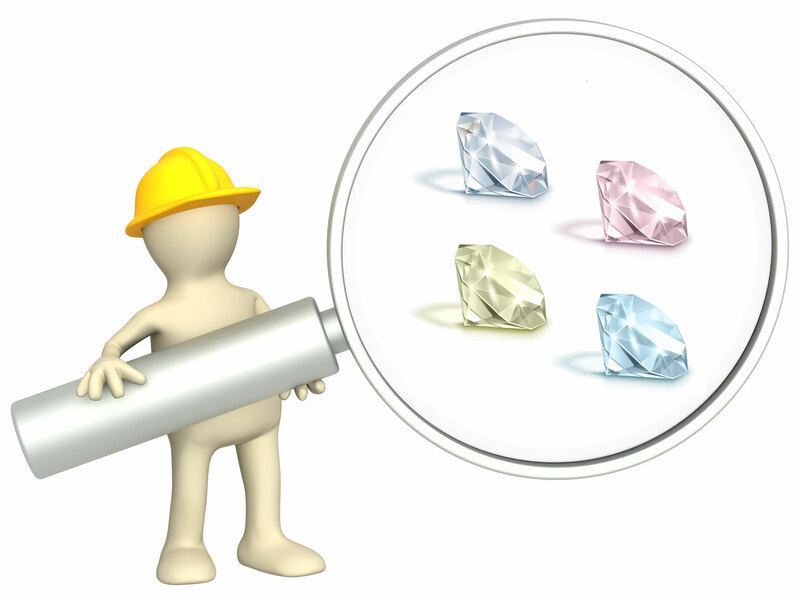 Here you will find the best recommendations for synthetic diamonds that have the same exact properties as real diamonds! 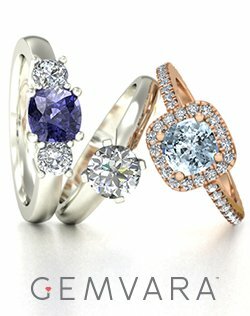 See amazing natural fancy Color Diamond Engagement Rings here! 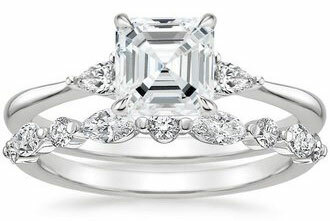 See the top designers for Designer Wedding Bands and Engagement Rings here!